We are proud to announce that our state-of-the-art milking facility is up and running on the project site! 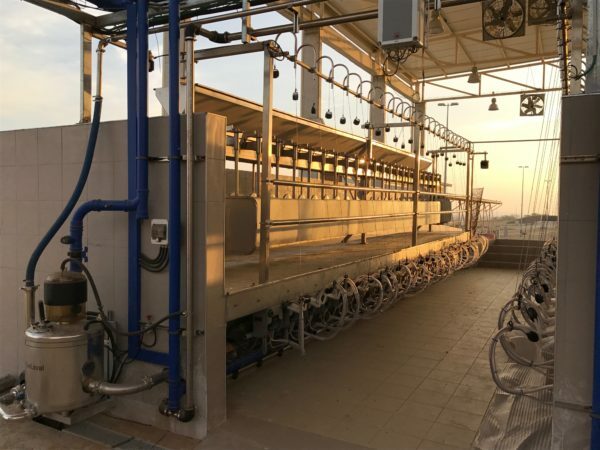 The milking facility has 48 stations, and is the largest facility of its kind in Israel. 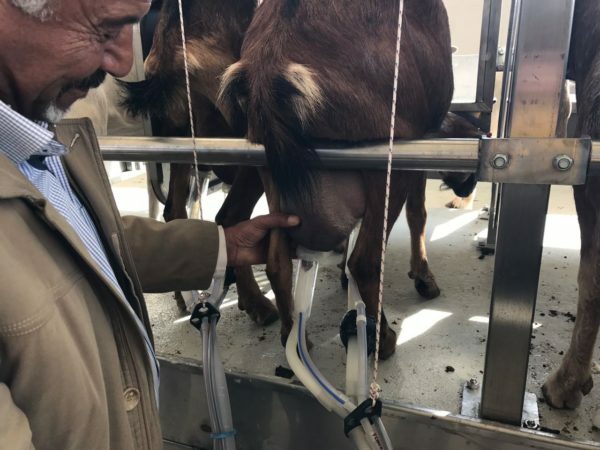 It allows us to milk our herd of sheep and goats twice a day, through an automatic, computerized process that is also quicker and more comfortable for the animals (the humane treatment of animals is one of our founding principles). The milking process only takes 5-6 minutes. Compare this to the fact that we previously only milked our herd once a day, and the process took more than two hours! This means that we are now producing 50% more milk per day, which in turn means greater production capacity for our dairy! 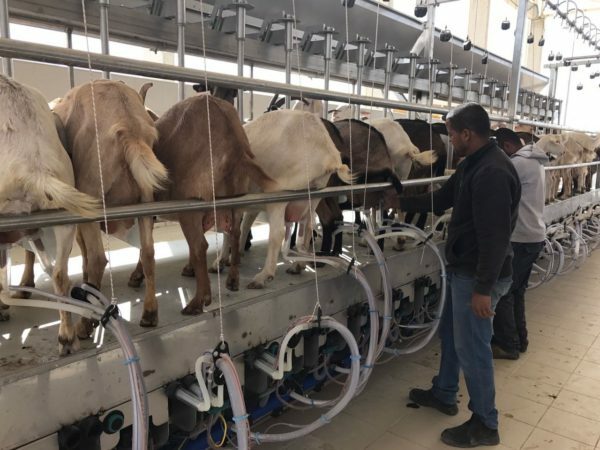 What’s more the facility comes with technology that helps us collect detailed data on each animal, each herd group, and the herd as a whole, related to both the amount of milk produced and its quality. This also insured high quality milk (and high quality dairy products!) by automatically separating high quality milk from low quality milk. In our next phase of construction, a permanent dairy will be built adjacent to the milking facility, and milk will be routed directly from the milking stations to a central container in the dairy, streamlining the process. Click here to watch a short video of the herd being milked in their new digs. Stay tuned for more updates from our Herding and Dairy Initiative!